We’ve all fallen into that trap, when new seasons, talked about documentaries, and 4 part intense dramas just play episode after episode, after episode..after episode. Before you know it you’ve been binge watching the tv for hours and the tv is asking if you’re still watching. As much as you might have enjoyed your binge session, you now feel like you’ve lost an entire day and are wracked with binge watching guilt. 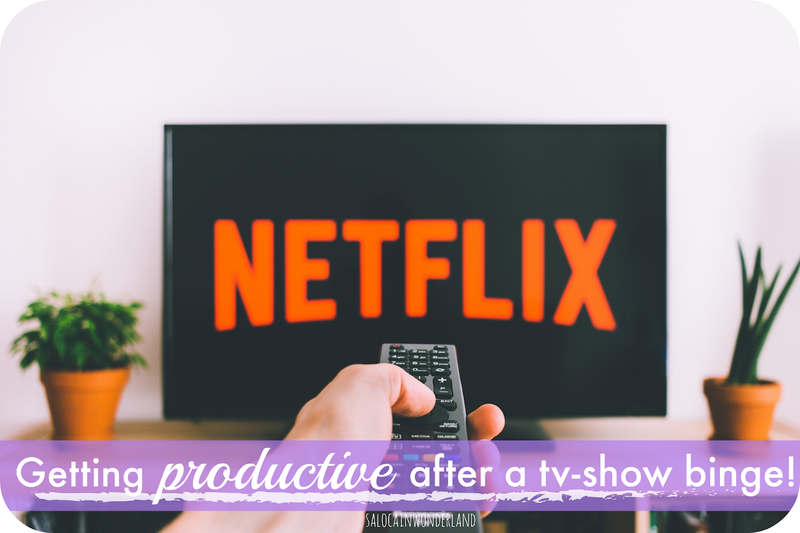 What are some quick and easy ways to feel productive after binge watching a tv-show? Chances are, you’ve been sat on your backside for a good few hours! So get up! Now! Even as you’re reading this, stand up. Ok, you’re up! Now move. Swing your arms, stretch your legs, wander around the warm, wiggle your toes - get the blood moving around your body! If you can motivate yourself enough, get your trainers on and take a walk, even if it’s just to the end of the road! Who know’s, by time you get there you might even fancy going a bit further! I’m a serial snacker! Every new episode requires a fresh brew and a fresh snack. Pretzels, biscuits, popcorn, a few grapes to balance it out. Those sweet wrappers, used plates and crumbs really start to pile up around you the longer your curled up on the couch. Get the dishes in the sink, the wrappers in the bin and go over the room quickly with the hoover! Chances are there’ll be a few dishes in the sink now, so fill that bowl and get them washed, wipe down the counter tops, dry the plates and put them away. No dilly-dallying! If I end up doing a bit of a deep clean, I might reward myself with just one more episode hehe! I live in one of those kinda homes where there is always something to clear out. If ever I want to feel just the tiniest bit productive at the end of a pretty lazy day, I’ll pull out a drawer, or open a cupboard, grab a bin bag and see what I can throw away. There’s always something! Clearing out just one desk drawer instantly makes me feel like I’ve done at least a little something with my day! 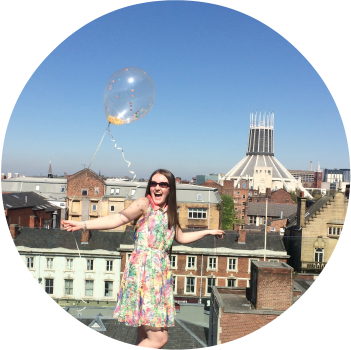 When I binge watched Marie Kondo Tidying Up I went on a massive cleaning spree - some bing watching sessions can be really inspiring! Stare at something else for a while! Have a staring contest with your cat, pick up a book, day dream out the window. Stare at something that is not the television and/or laptop screen! Even if it’s just for 20 minutes, just cast your eyes elsewhere! (This doesn’t mean you can pick up your phone either!). Look at something that isn’t a screen for as long as you can! I tend to find myself reaching for books, colouring books, or my calligraphy practice books after spending a little too long infant of the TV. It helps relax my eyes, especially if I’m wanting to get to bed pretty soon, and calm my mind too. Write about the show you just watched. Review it. Did it inspire you to think about something differently? Did it open your eyes to something new? Did it make you think? However it inspired you, get writing about it. If you’re a blogger, there’s an instant piece of content right there, maybe even more than one post? 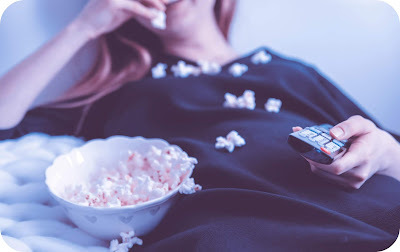 Who knows, you could even write about the things you did after binge watching TV to make you feel like you got something done today…..
What do you do to feel a little more productive after a good tv-show binging session? Speaking of which, what shows have you binged on recently? Anything to recommend?